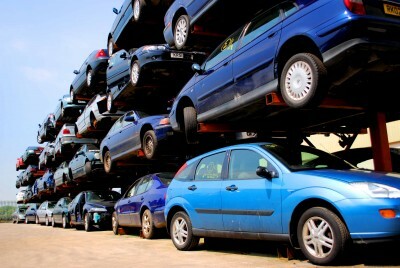 At ASM Auto Recycling, we work closely with many of the UK’s biggest accident, stolen-recovered specialists and licensed credit brokers to auction roadworthy vehicles online. Repossessions unfortunately occur when vehicle owners fail to keep up with their repayments on car loans and hire purchase and personal contract agreements. Many of these vehicles are still in exceptional working order, with few or no structural or cosmetic issues, making them a great-value purchase for our customers across the UK. We offer 24/7 bidding for online salvage auctions featuring many repossessed cars for sale across the UK, with over 2,500 roadworthy or repairable cars sold each week. Why should you buy a repossessed car? Put simply, purchasing a repossessed car in the UK enables you to acquire a vehicle for a fraction of the price you would have to pay on a forecourt. If you’re a trade buyer looking to make a profit on a great-value repossessed vehicle at auction, at ASM Auto Recycling it’s possible to find a bargain from the comfort of your office or living room. Our online auction bidding system makes it easy for you to place proxy bids on any repossessed cars for sale in the UK, so that you never pay more than you’re prepared to spend. Whenever you purchase a repossessed car in the UK it is vital that you ensure the vehicle is free of finance. This means that there are no outstanding payments required on the vehicle. Unfortunately, many vehicle owners attempt to sell a vehicle that’s not yet free of finance, meaning the vehicle is still technically owned by the finance company. An HPI Check will inform you whether a repossessed car is free of finance, but all repossessed cars for sale at ASM Auto Recycling are HPI-checked. Furthermore, all potential issues with any of our repossessed vehicles are clearly documented to potential bidders via each car’s own vehicle dashboard within our online auction platform. All damage is written clearly on the dashboard and bidders can check everything from mileage and service history to registration and body shape.